This Jolly Bacco Musica is very realistic, and is a fantastic addition to complete your Masquerade Ball, Carnival of Venice or Italian theme. 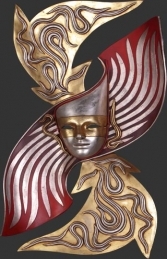 This fantastic Jolly Bacco Musica Mask showing the musical score in silver and gold detail it makes it stand out from the crowd . 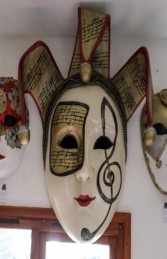 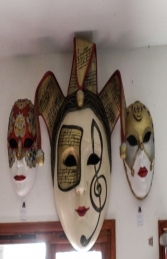 This mask would be an ideal addition with our other Theatrical Mask collection to complete your Masquerade Ball, Carnival of Venice or Italian themed areas, advertising or drawing attention to your business.